On Thursday night, Oakland community members met at the Think College Now campus to discuss the “Blueprint for Quality Schools,” the Oakland Unified School District (OUSD)’s plan to refurbish old school buildings and use school resources more effectively. The “community dialogue” was one of four planned for this week, and attracted about 30 people. “It’s a long-term engagement process to help people understand a complex problem,” said Superintendent Kyla Johnson-Trammell. The “Blueprint” plan was initiated in May by district leadership, including the communications and community engagement department. The strategic goal is to improve enrollment within Oakland schools by providing students the proper learning space needed to grow, and to create a healthy environment where each building can be utilized for its intended academic purposes. The plan is designed to serve students of different demographics, such as students with disabilities, and different language and cultural backgrounds. As part of the plan, officials will assess properties district-wide, while working on enrollment projections and demographics studies. They will examine the safety of each building, if it is being used for its intended purpose, if it will support the number of students living in the surrounding neighborhoods, what types of students will be attending the school, and how the building can support people with physical disabilities. Joe Dominguez, the district’s deputy chief division of facilities planning and management, held an interview process to decide who will lead the way in the building assessments. 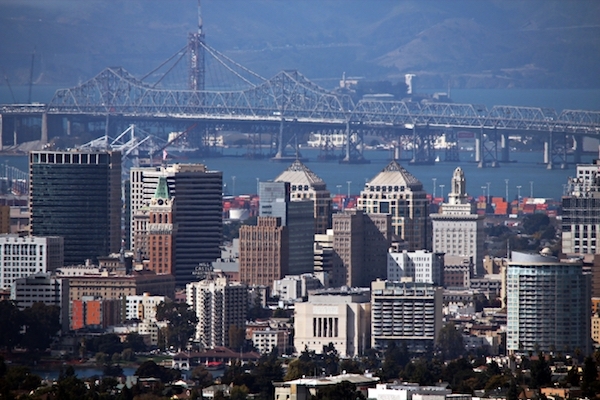 He and his team eventually selected Jacobs, an engineering firm based in Oakland, to perform the task. The project funding totals $1.6 billion, but priority condition deficiencies (things that are broken) at OUSD schools will receive $952 million of that funding. Another $678 million will go to fixing things that aren’t necessarily broken but have a limited lifespan. Dominguez said the plan is dedicated to helping students have equitable access to schools and programs they need to succeed. “Who are our students, and where do they live, what languages do they speak, do they have disabilities, and what do programs do to promote equity?” he asked, rhetorically listing some of the questions their process needs to address. During the community dialogue session, Johnson-Trammell said that teachers and principals are forced to deal with limited resources, but that trying to have quality teaching programs on a “shoestring budget” has led to declining enrollment over time throughout the district. “We may need to close, consolidate schools, or bring back new programs, all in an effort of spending the resources we have more effectively to invest deeper in schools,” she said. Valerie Goode, the district’s deputy chief of communications and public affairs, said she believes the Blueprint “is a plan for us to utilize resources, and be intentional about a community-driven process—taking the hopes and dreams of the community and meeting that with the data, creating the community of the future. The OUSD has also set up a Blueprint advisory group composed of 54 members, plus two students. These members represent the city’s neighborhoods and the demographics of students in that area. OUSD parent Philip Williams said he liked the plan presented at the community dialogue. “I’m a community member and I also work in Oakland schools and care about the process for quality education. I want to hear what other people have to say, and I want them to hear what I have to say,” he said. The “Blueprint for Quality Schools” process will continue into 2018. The board is set to receive the Blueprint plan sometime in January or February, right after the last advisory meeting on January 17, 2018. “It will be intriguing to see the educational outcomes after this program is implemented,” Dominguez said. Joe Dominguez, deputy chief of facilities, reads over the background report for OUSD’s Blueprint project.